This beautiful property in Belper, Derbyshire was fitted with the latest bygone collection wood effect UPVC sash windows featuring the super slim meeting rail. 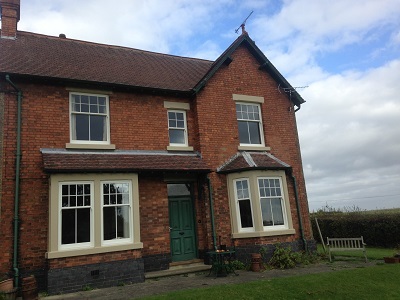 The original box sash timber windows with cords and weights had become rotten and the decision was made to replace them with brand new sash windows. Internally the sash windows were finished with a decorative period architrave.